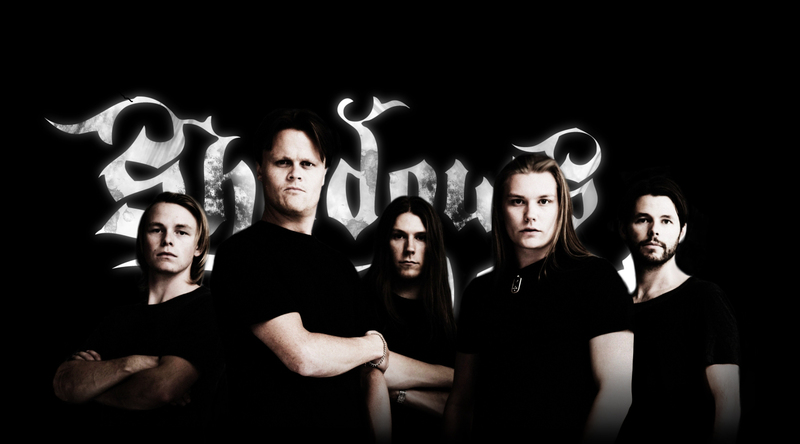 Although Shadows Past from Stockholm, Sweden was officially formed in 2005, prior to that, vocalist and multi-instrumentalist Ola Halén (ex-INSANIA) had been working on songs in his home studio for several years. 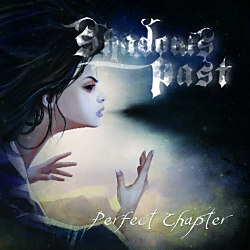 Some of those songs would later end up as Shadows Past material, most famously perhaps Cry No More, which has become a sort of band anthem. 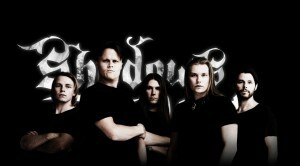 The core of the band has always consisted of Ola and guitarist Jonatan Berg, and although several members have occupied the remaining positions, the line-up has now been solid for quite some time. Rounding out the ranks are Patrik Berg (bass, Jonatan’s brother) and brothers Staffan and Olle Lindroth (keyboards and drums respectively). With two demos as a band under the belt, the band went into the studio to record a full-length and managed, at the end of 2012, to secure a record deal with Doolittle Group. And presto! Here we are, ready to immerse ourselves in the a Perfect Chapter of this merry metal book. First things first for those who feel the need to pigeonhole musicians: These guys play heavy/power metal with some progressive touches. This is a very vague description, however, as there is more to the compositions of these guys than that. There is a solid foundation of riffs and a tight rhythm section, so the sound never gets wussy. Melody and catchiness are the main courses in this feast though. These guys pen catchy tunes like there is no tomorrow, and it is obvious they recognize and believe in a chorus when they see it. Thus, every song has a hook; some only take longer to develop, but rest assured they will all get to you. Most of the tunes were penned by Ola, but there is also a song written exclusively by Jonatan (Ladder of Life) and the opener (and what an opener! Very wisely put first) Wherever I Go was written by Staffan. This song is the epitome of what these guys are all about: A brooding verse section followed by an anthemic chorus to tear your face off. For more of that, do check out Who Am I and Impressed, the latter of which is power metal in the old-school Helloween way, and that is a compliment. As an added bonus, there is a section within the song that features the chorus to another song (which may or may not get re-recorded at a later time) that stems from Ola’s demo days. It’s just a snippet, but it is a very cool thing to do. With these guys, it’s the small things I admire. Some songs feature growling by Ola, but it is done very sparingly and in a tasteful way, which adds to the dynamics. The end of opener Wherever I Go features lyrics sung in Swedish, which are never repeated. Things like that. Very unpredictable and therefore original. Also, there is none of that predictability concerning song order that is so prevalent among albums by many power metal bands, i.e. you have a fast opener, a mid-tempo, another mid-tempo, a ballad, a fast song etc. Nope. These songs feature slow and fast sections, grinding and melodic parts, lamenting croons and soaring choruses all within the same song. Did I mention dynamics? Of course I am biased. I have followed these guys for a while. I like the genre they play, I like the songs they write and I like the fact that they are passionate about what they do. The playing is top notch, the production is pristine and the concept of the cover art and lyrics feels rather fresh. You’ll have to figure it out for yourself, though. Sure, there will always be minor gripes; sections of songs I liked better in the demo versions and the likes, and songs that were left out of the album entirely. But I have to review what is there, not what isn’t, right? To sum it up: A vibrant and fresh debut album. Bombastically beautiful at times, headbangingly heavy at times, but always energetic and always relevant. Do give these guys a chance.